Earlier I wrote already an article about the Oranjezicht City Farm (OZCF). The unexpected piece of farmland in the middle of Cape Town’s Oranjezicht neighbourhood. And of course these beautiful vegetable, herb and fruit gardens produce fresh ingredients. And therefore it’s Market Day once a week! Every Saturday you can buy your fresh products at the Oranjezicht City Market. Before the market was held next to the grounds of the farm, where the Old Homestead is. But because of the popularity of the market (over 2000 visitors every week! 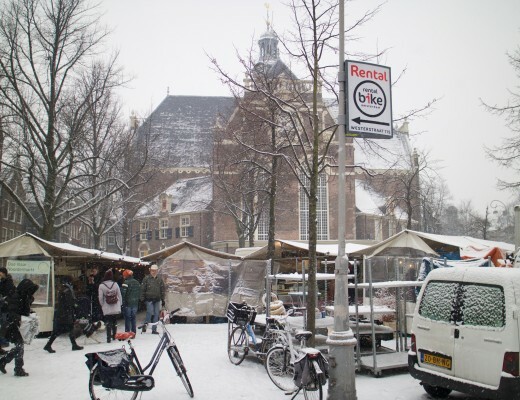 ), in combination with the fact that the Homestead is a monumental, historical and sort of ‘protected’ ground, one has decided to relocate the Oranjezicht Market. 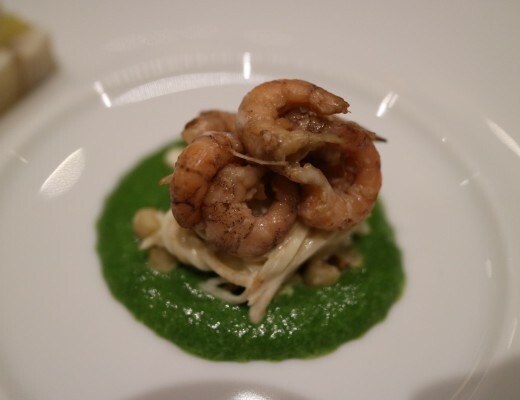 For a short period of time, the market was held at the private residence of Premier Helen Zille. She found it unacceptable when the market must have stopped and therefore she offered her home and grounds. Can you imagine yourself having a picnic on the grounds of the Zille Villa? It was very generous of her to allow such a bunch of people every week at your home. 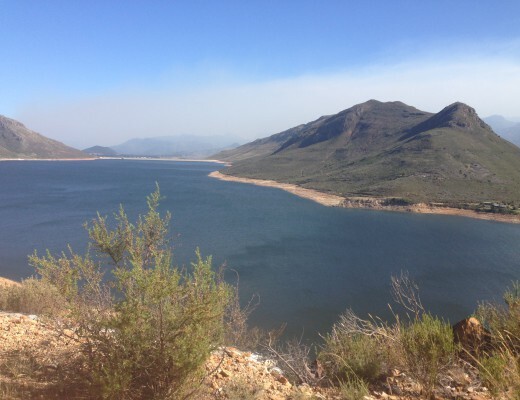 Since June 2015 the Market relocated to Granger Bay – because of winter time – where it still is today. I heard some rumours that the organisators of the OZCF Market are looking around for a new, more permanent place, but for now they are at Granger Bay. Personally I think where they are now is a great location! There is parking (Lookout Venue or V&A Waterfront Parking), you’ve got wide views over the Atlantic Ocean, towards Robbeneiland and Blouberg beach (at the other side of the bay), and the grounds are quite spacious. There are several tents with stalls, and there are areas around the tents with seating places (benches and tables) have been created. I have seen markets where you struggle much more to find a place to sit than here! I think overall the OZCF Market is very well organised. At the Oranjezicht Market you can buy your weekly fresh groceries like locally grown vegetables, fruit and herbs. It’s organic, it’s produced with love. And yes, you can buy here funny looking bent cucumbers and not so round tomatoes. Who cares? The taste often is much better than their over-produced brothers and sisters, and they are organic – sprays and pesticides are forbidden during the farming process. It’s only soil, water and sun. 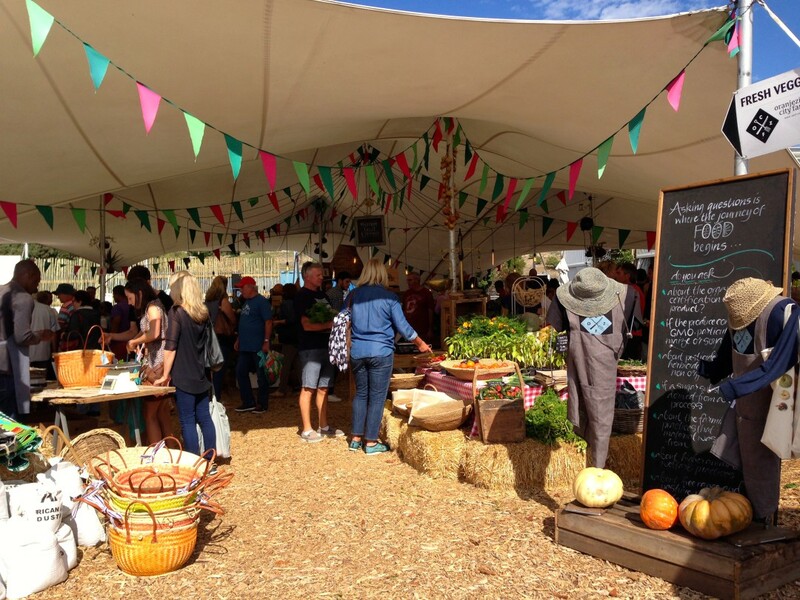 Besides the products from the Oranjezicht City Farm quite a few local producers als have found their way towards Granger Bay on a Saturday morning. Other kitchen items like bread, cheese, garlic mayonnaise, mushrooms, olive oil, nuts, spicy tomato chutney, yoghurt, charcuterie, farm butter, honey, bacon, quality meats, fish, juices, ice cream and more can be found at the Market nowadays. And that’s not even all: Food traders selling breakfast and lunch fare to eat at the market or for takeaway. You can also sit down and have a coffee, smoothie or juice. I think visiting a market is a perfect start of the day, especially when you visit such a nice market as the Oranjezicht City Farm Market. 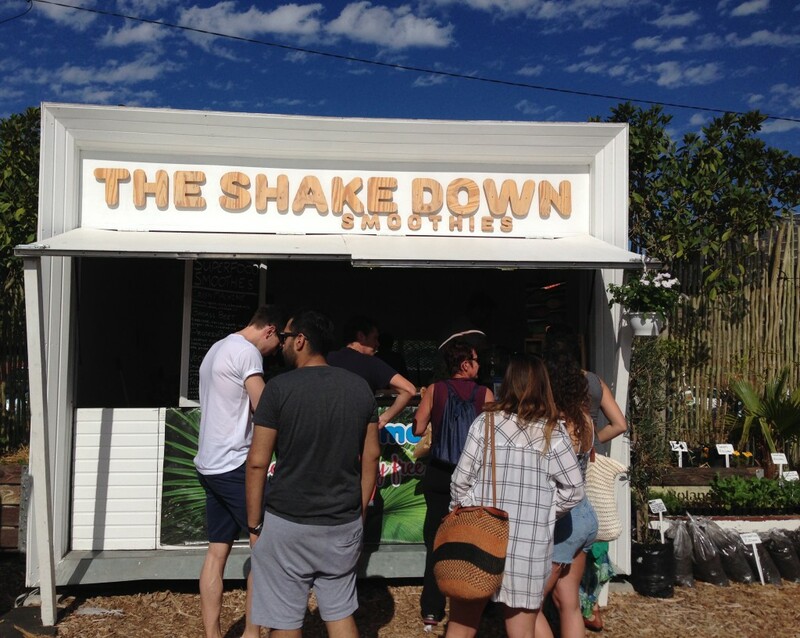 At the Shake Down you can buy a fresh smoothie or juice. When we were there they had ginger-turmeric shots (we had one). Super healthy and nice to start the day with. Before you head on towards the farm style breakfast, bagels, mushroom skewers, burgers and Portugese pastries.. 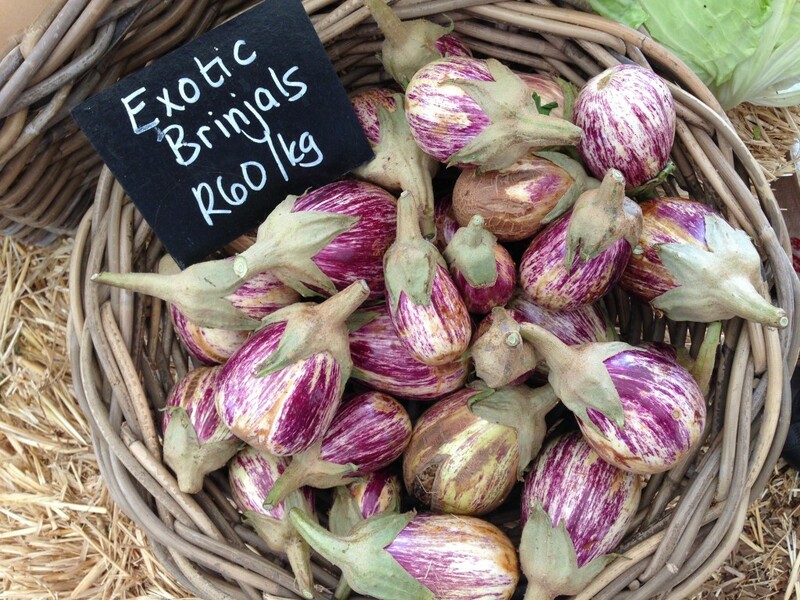 Exotic brinjals; organic, fresh and local! Soak up the sun and enjoy the views over the Atlantic Ocean. The market is – besides grocery paradise – also a social place, where one can relax and start the weekend properly. 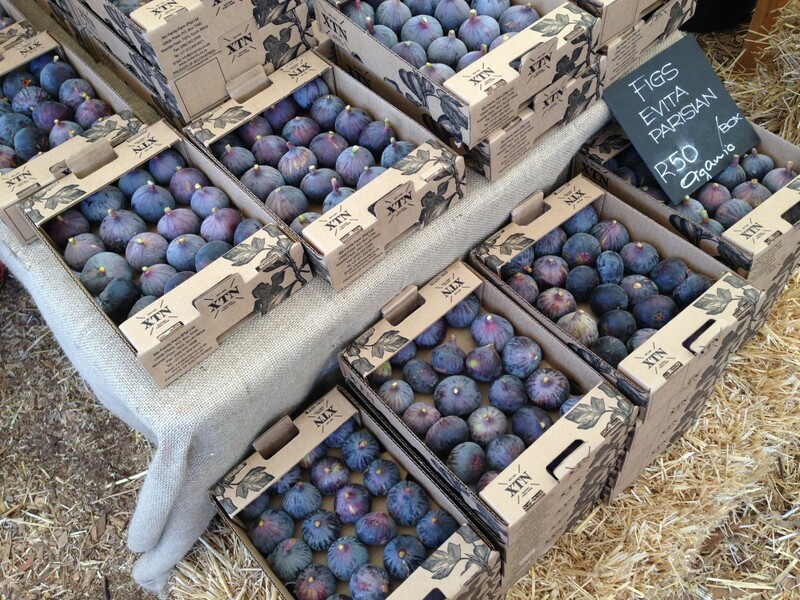 How much I love figs! Tomorrow I will post a recipe of our delicious famous fig salad online. 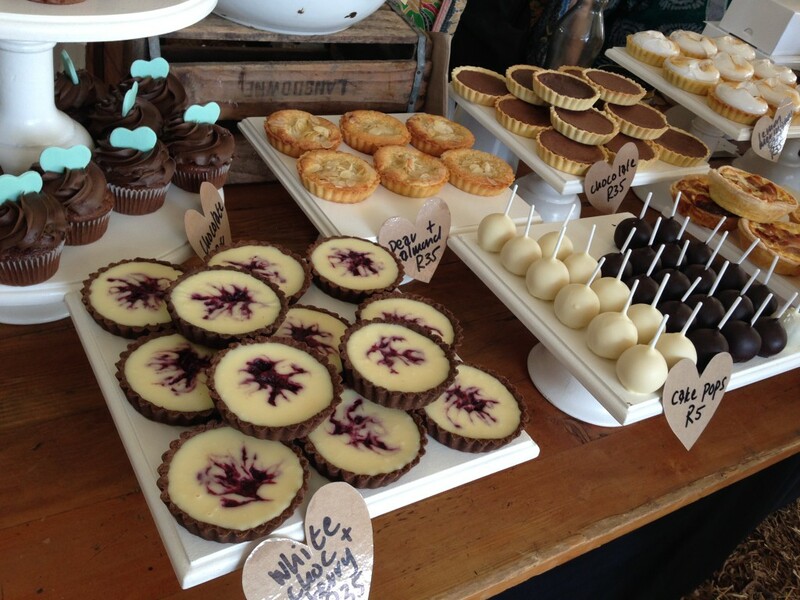 If you are on a diet skip this stall, but if not try a Cake Pop or Chocolate Tartlet. 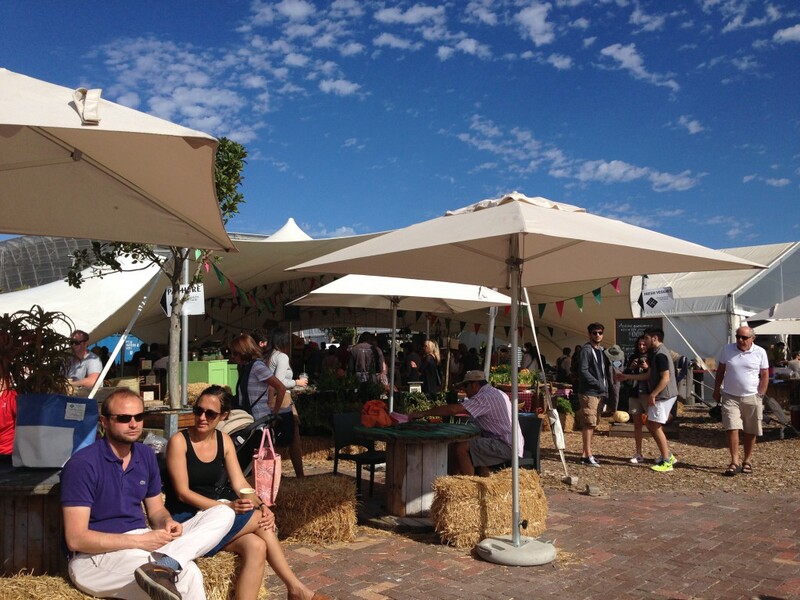 Every Saturday (all weather) from 09h00 – 14h00 the Market is held at the Granger Bay section of the V&A Waterfront, behind the LoukOut Venue and next door to the Grand Beach club. You can park on the grounds of the Lookout Venue, or in one of the parking garages of the V&A Waterfront and walk from there (it’s not far). So what are you waiting for? 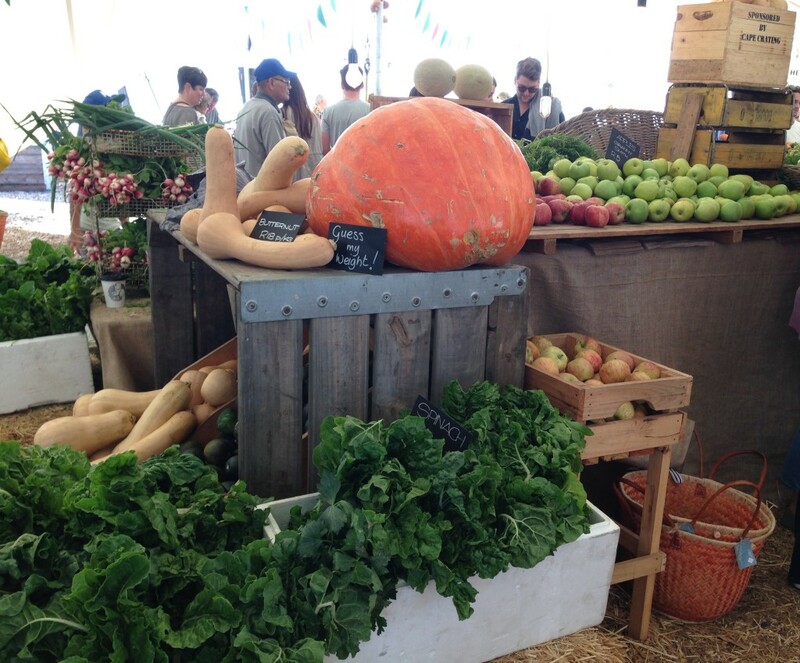 Pick your own harvest and stay a bit longer for coffee, breakfast, lunch and fun. Note: I have not been asked or payed to write about OZCF Market. My opinion and views in this blog remain honest. All photos are mine.